Tuition Fee (1st instalment) if classes commencing in a few days’ time. Tuition Fee will be collected after signing of student contract. 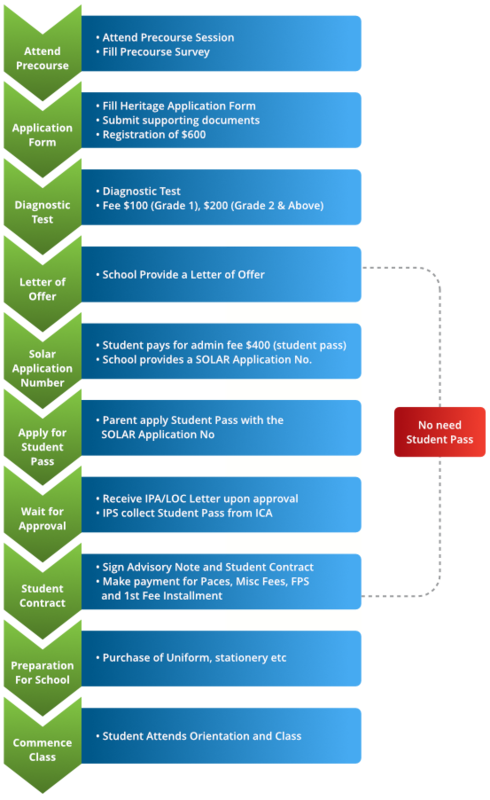 Student Pass application usually takes 4- 6 weeks, depending ICA. Should the Student’s Pass application be rejected, an appeal would be submitted. If the appeal is not successful, the admission process shall be terminated.